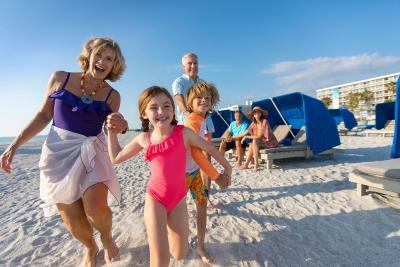 Lock in a great price for TradeWinds Island Grand – rated 8.2 by recent guests! The customer service was excellent. Everyone one was very nice. We loved all the activities for the kids. The onsite restaurants were amazing, a bit pricey but food was excellent. We traveled with kids that have allergies and the staff were extremely accommodating to our special needs. Can’t wait to go back! 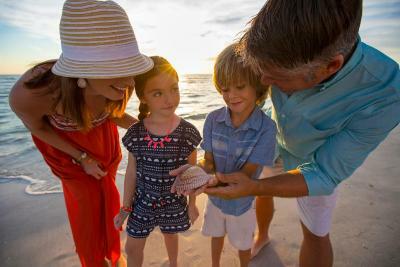 A family friendly resort with plenty to do with the little one all included in the price at the perfect location. Staff was fantastic! Concierge stayed after her shift to help me print my boarding pass! A lot of great activities for kids. Sand toys to use on the beach which was a nice touch. 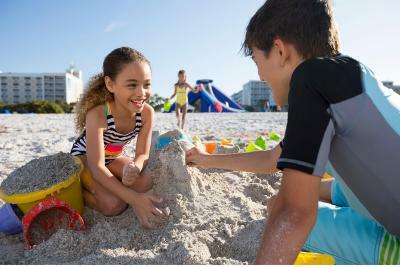 Loved all of the activities for kids, pools and beach! The beach and the beautiful greenery around the property. 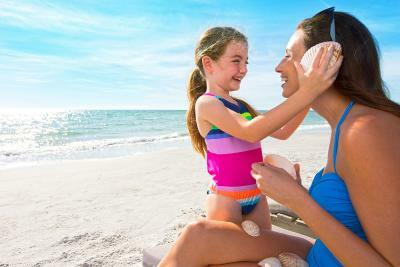 The hotel is situated on a beautiful stretch of beach. The view from some of the rooms and restaurants are wonderful. I liked all the extras , the bellman ,the friendliness of everyone . Having restaurants on site . The surroundings were tropical looking . I liked the adult area and the slide . Loved the room we had with walk out access to beach, bar, swimming pool! I also liked charging everything to room so no need to carry money around and the small grocery in the lobby. We never left the property. Also loved the cabanas that were free! The Beach was the only thing this place had going for it. Don’t Stay here the facility is old, the rooms were small, dirty and definitely not worth $344 a night they charged me. Requested beachview had a view of the parking lot. The pictures on website must be when the hotel was new. Most of the people staying here were drunk spring break partiers. 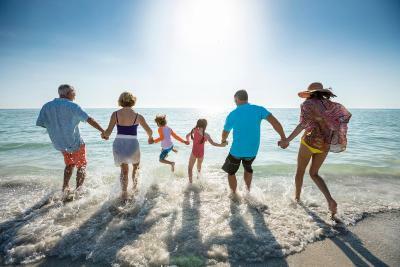 TradeWinds Island Grand This rating is a reflection of how the property compares to the industry standard when it comes to price, facilities and services available. It's based on a self-evaluation by the property. Use this rating to help choose your stay! 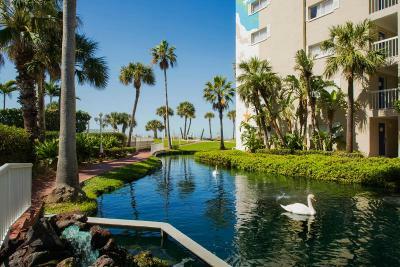 One of our top picks in St. Pete Beach.TradeWinds Island Grand is located on 20 acres, directly on a Gulf of Mexico beach in Saint Pete Beach. 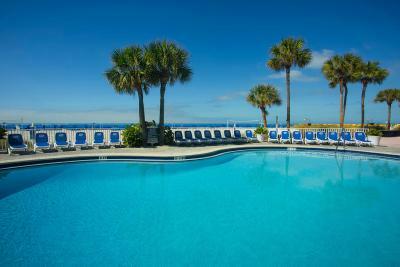 The hotel offers 5 outdoor swimming pools, 4 full-service restaurants, and a spa. Guest rooms at the Island Grand are equipped with a microwave, coffee machine, toaster, small refrigerator, and kitchenware. 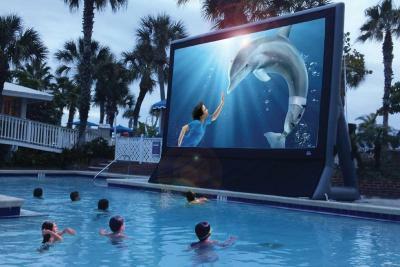 A flat-screen cable TV is also included. 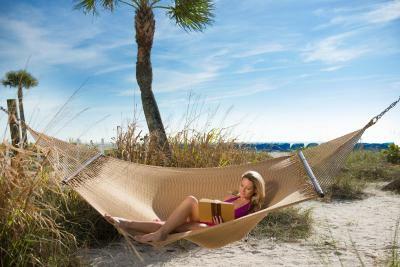 Some rooms offer views of the Gulf of Mexico. 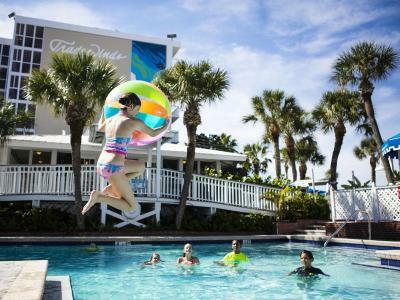 TradeWinds Island Grand features 2 hot tubs and 2 tennis courts. 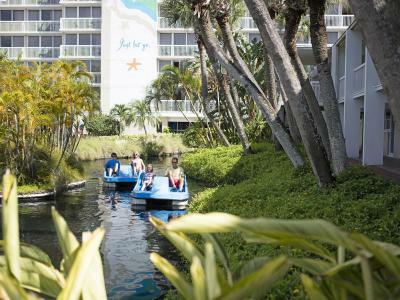 Guests can enjoy paddleboats, beach volleyball, a water slide, and beach cabanas. 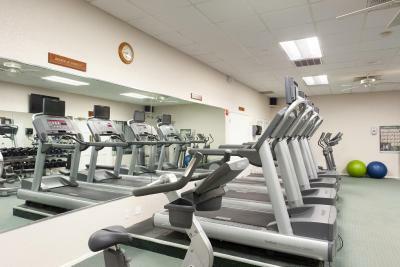 Complimentary access to the KONK Activities Center is available for all guests. 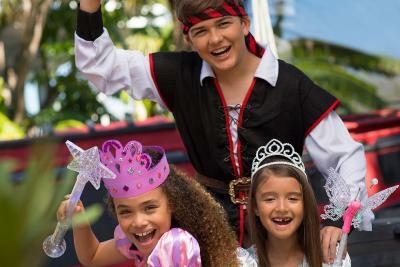 24-hour babysitting services and themed drop-off camps are available for an additional fee. 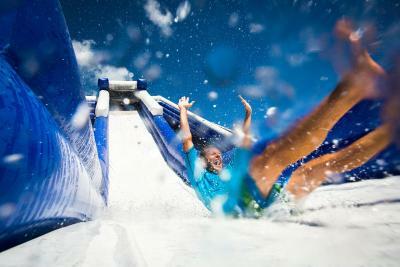 Water sport activities include jetpack rides and parasailing. 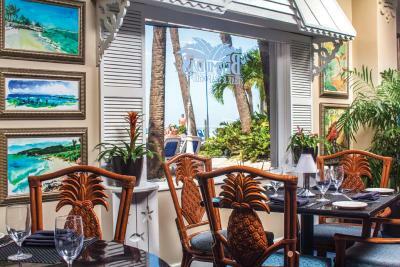 Dining options at the TradeWinds Island Grand include the Palm Court Italian Grill, Bermudas Steak & Seafood, Flying Bridge, and Beef "O" Brady's. 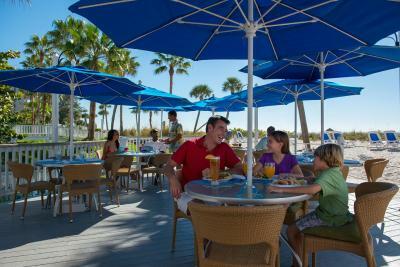 Casual dining includes a poolside beach bar and grab-and-go options. 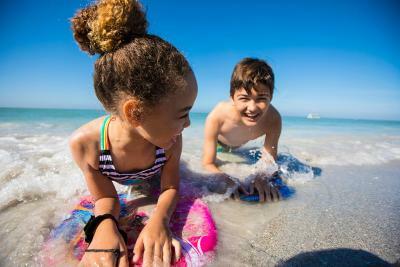 Fort De Soto Park is 16 minutes' drive from TradeWinds Island Grand, while Central St. Petersburg is 10 mi away. The Dali Museum is just 11 mi from the hotel. 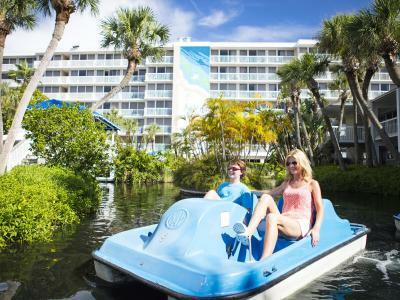 When would you like to stay at TradeWinds Island Grand? This room offers a flat-screen TV, refrigerator, and microwave. A coffee machine and a dining area are also included. This double room has a balcony, flat-screen TV, and refrigerator. A microwave, coffee machine, and dining area are also included. This suite features a kitchenette and dining area as well as a seating area with a double-sized sofa bed. A flat-screen TV is also included. This family room features a balcony, seating area, and kitchenette. This gulf-front suite features a kitchenette with a stove top, seating area, and flat-screen television. A sofa bed is also included. 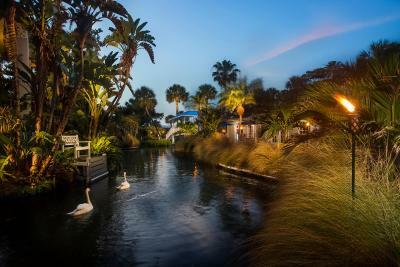 TradeWinds Island Grand boasts a heritage of award-winning service and certification as a Florida Green Lodge. 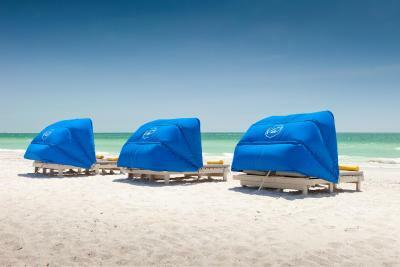 Overlooking the tranquil waters of the Gulf of Mexico, Island Grand is located on the white sand beaches of St. Pete Beach, consistently ranked one of America's Top Beaches by TripAdvisor. 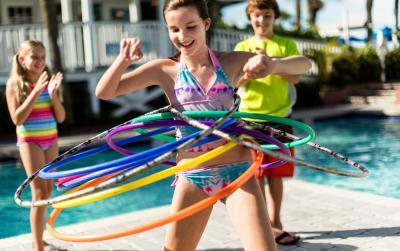 House Rules TradeWinds Island Grand takes special requests – add in the next step! 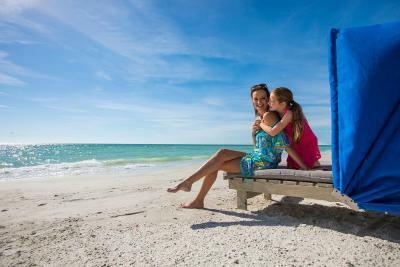 TradeWinds Island Grand accepts these cards and reserves the right to temporarily hold an amount prior to arrival. 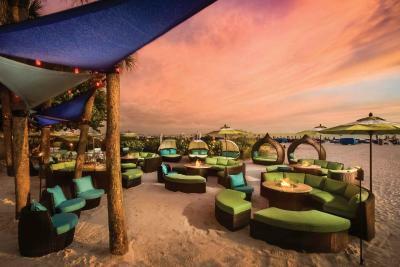 Note: Front row cabanas closest to the water require an additional USD 15 fee. The resort is SOOOO crowded and cramped. If you like huge crowds with tons of kids then this is the place for you! The swimming pools were TINY so even if you wanted a break from the beach the pools were so crowded there was no way to enjoy them. Every room gets one cabana included with their room, but the cabanas only fit two people. 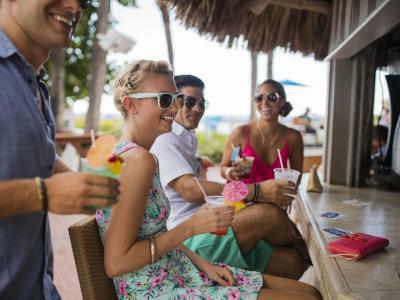 The front desk told us we could buy an extra cabana for $20 per day, however the company that runs the cabanas is different from the resort and they would not allow us to get an extra cabana. Resort is very centrally located. 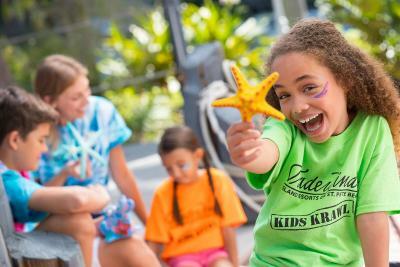 There are definitely a lot of activities at the resort for kids/families. All the staff was VERY courteous and attentive. Beach was clean and on the property. The beds was very hard. The rooms are small. Room decor is a bit tired and dated. Do not feel this was in line with what we were charged. Suggest minor upgrades to help make the room more comfortable...even just adding more hooks for drying bathing suits and towels. Staff were very friendly and helpful. The grounds were beautiful and well maintained. Beach was nice and cabana reservation system worked very well. Cold water-but we received half of a night’s stay as a discount for 3 days without hot water. Paying this much for the week shouldn’t come without basic amenities. I was disappointed in my room I paid for a suite that appears to have a balcony but when I arrived there was no balcony to walk out on. I paid a lot of money for this room and not only did it not have a balcony as it appeared it also had a broken coffee pot. The location and beach are awesome the room was my only problem. I wish they would give their guests at least one free breakfast voucher. The hotel is extremely dated. The rooms smell musty and need some serious attention to detail. On the bright side we were told the hotel was undergoing renovations ! They should have started with the beachfront suites being that they are the most expensive rooms on the property. Although we loved the location of our room (beachfront) thankfully the weather and the outdoor spaces on the property were fantastic that we spent very little of our time in the room. The beach was beautiful the hotel had tons of activities for kids to keep them busy all day. The hotel and our room were mere steps away from the beach. The restaurants on the property were convenient so you didn’t have to go off property for dinner if you didn’t want to and there were plenty to choose from. The staff were very friendly and super helpful if you needed anything. 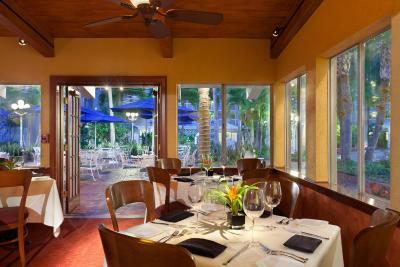 The surrounding area around the hotel has great shops and restaurants all within walking distance. 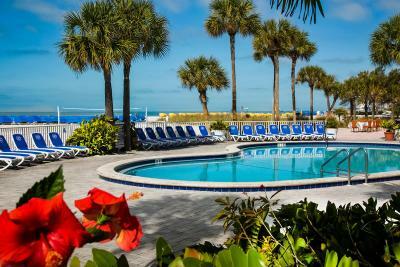 The hotel also had several pools tennis courts beach volleyball and many more activities for the adults. The peice de resistance was the giant inflatable slide that provided hours of fun for all ages! Clean hotel room floors during our stay. Lots of sand and feed were dirty. Staff was amazing!! Services were awesome! !